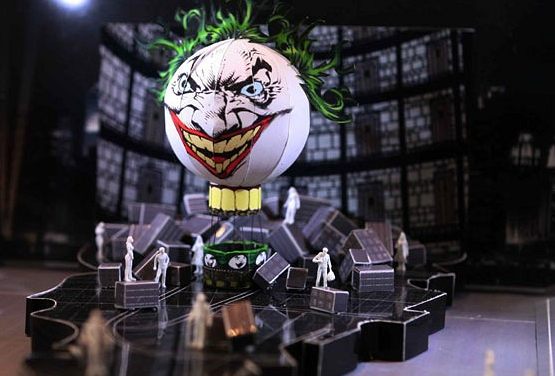 New images have emerged today, courtesy of The Telegraph, which showcase the set design of the upcoming "Batman Live," set to launch in England this summer. 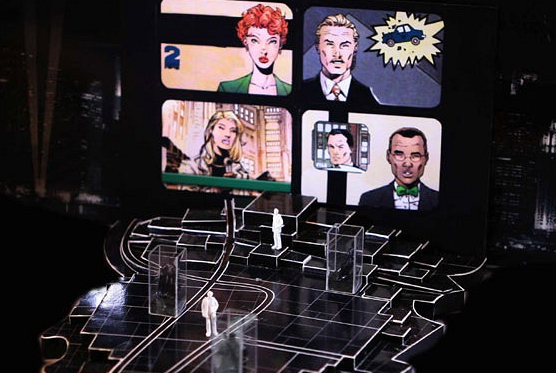 As pictured below, the set is said to include a 130ft video monitor, allowing for both backdrops and narrative animation. 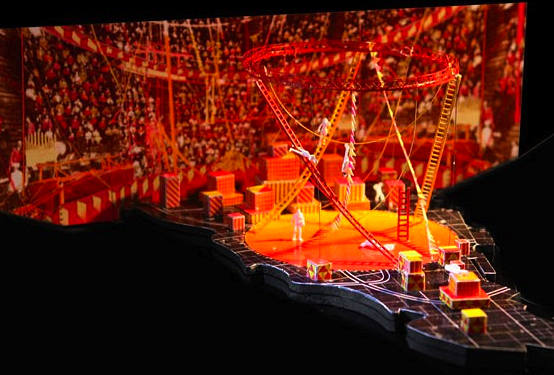 Also pictured is the runway stage that juts into the audience. While the show is said to include several villains, the Joker will play a key role in one elaborate scene. "There will be an onstage disaster," writes The Telegraph, "with a hot-air balloon and a Joker face whose eyes, teeth and hair are made up of dozens of dancers." "The show will open with the trapeze show at which Robin’s parents, circus act The Flying Graysons, are killed," the article also explains, "Thereafter, Batman Live will motor through a rapid sequence of scenes, none of them clocking in at much over two minutes, so as to keep the momentum up and the younger audience members utterly engrossed." After its UK debut, "Batman Live" is scheduled to head to North America sometime in mid-2012.